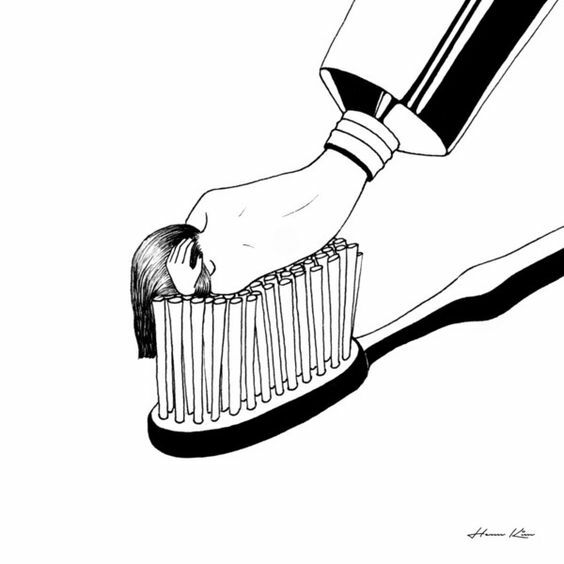 A little dark and moody but always clever, Henn Kim's black and white illustrations focus on women, emotions and usually involve a play on words. Her artwork is available as prints and on a multitude of products, such as t-shirts and housewares. Malika Favre is a French artist who creates very minimalistic yet intricate illustrations that play with shadows, shapes and colour. Her fashion illustrations have caught attention and have been on the covers of magazines and some of her artwork has been used on packaging for Sephora. She has her portfolio and products here on her website. My favourite is her series called #100daysofpeopleandplants on her instagram. Mary Kate's funky illustrations and typography never fail to make me smile! Here's her website which perfectly matches her artwork. 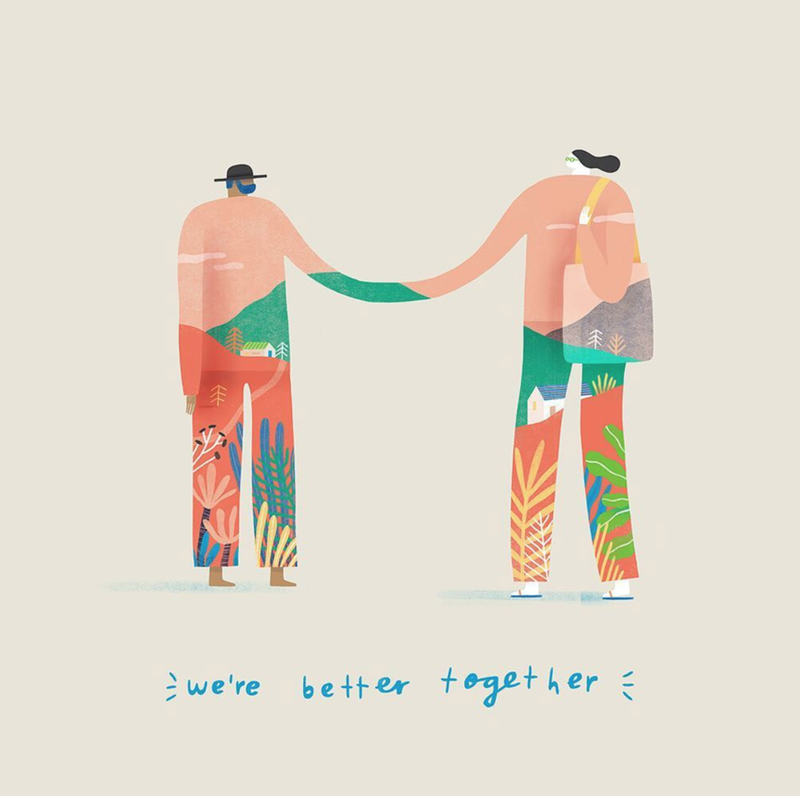 Based in Australia, Mark's illustrations are always full of lively plants, people and colour! He loves to share process videos, sketches and tours of his studio on his instagram . His website showcases all of his work with many huge clients like Airbnb and Toyota and you can buy his prints to make your home happier. I want one! So inspired by his happy, abstract style.